We got the move up I was suggesting was likely, but it peaked short of where I expected and the pullback has been deeper than I expected. Overnight the pullback has continued, NQ is testing yesterday's low at the moment, and and (RUT) is well below yesterday's low. There is negative RSI divergence on the RUT 60min and SPX 60min charts and bulls need to hold firm today or we may see 1394 SPX support tested again shortly. 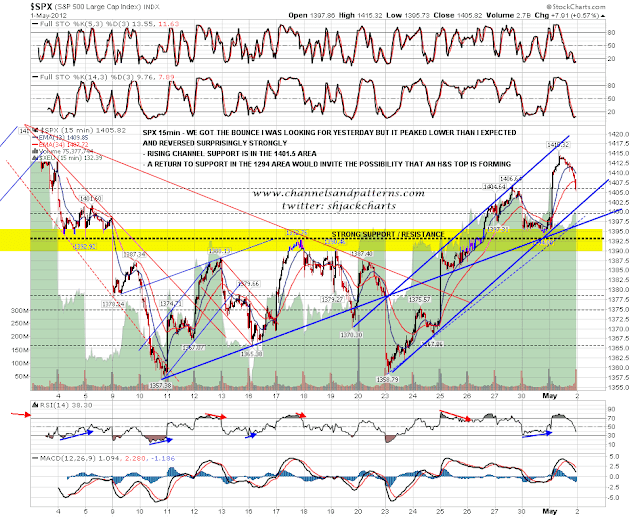 If we do see that then the possibility that an H&S top may be forming on SPX will need to be considered. 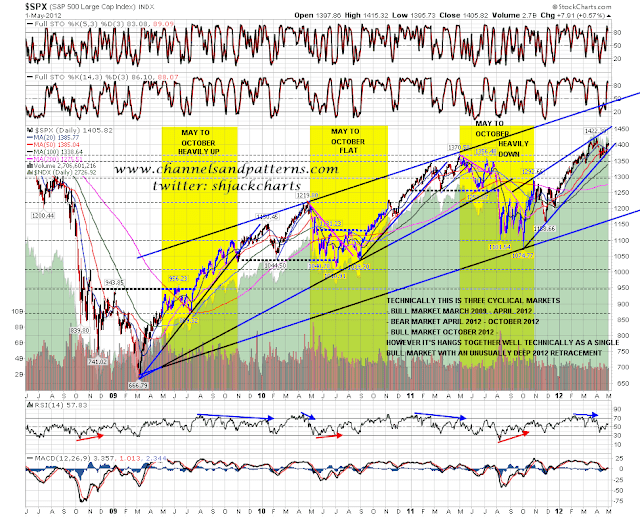 I think we are within a few weeks of making a significant interim top that should then be followed by a deeper pullback than anything we have seen since October. 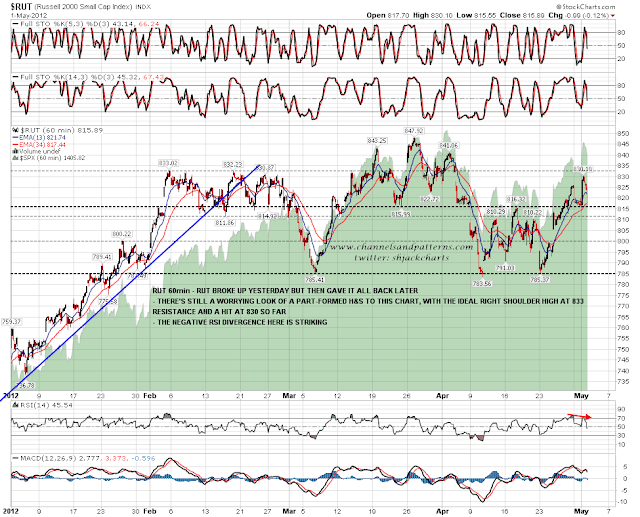 I don't think that top is in yet but, if we see SPX break 1392-4, and then 1385 with any confidence, I might need to reconsider. 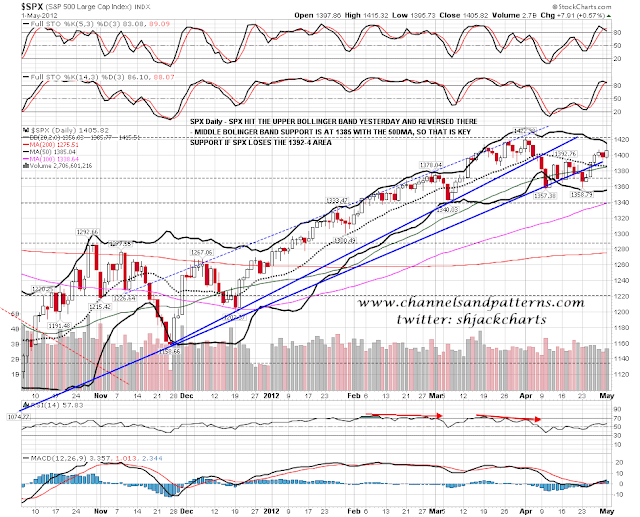 Until we see that my lean is bullish and the pattern setup on SPX, RUT and NQ is arguing for new 2012 high as at the close yesterday. 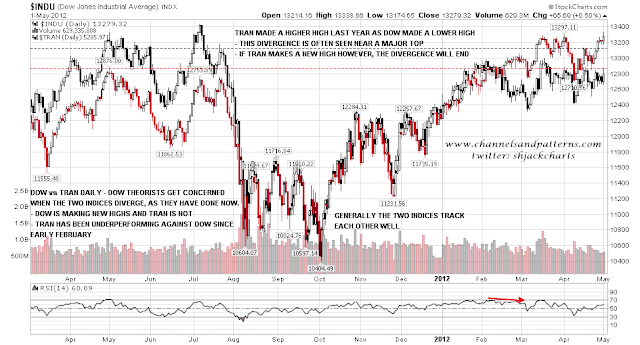 Dow has already made a new high for 2012 yesterday of course.